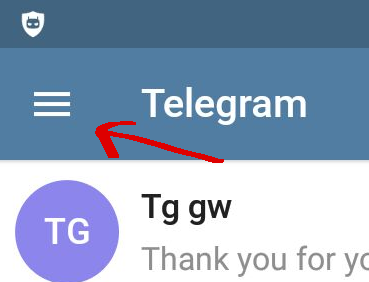 Step 1: In your mobile Telegram click, click on the hamburger menu located on the upper left of the screen. 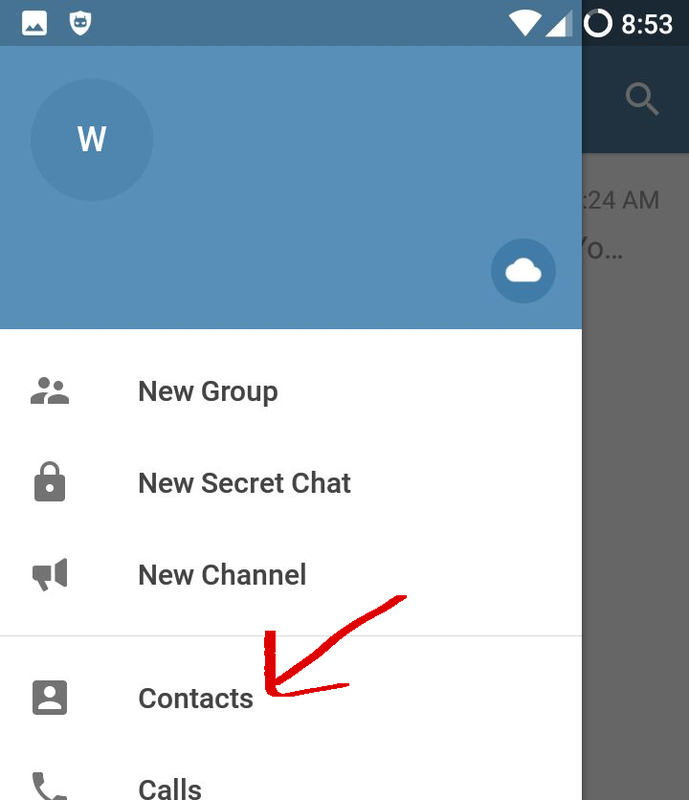 Step 2: Click on "Contacts". Step 3: Click on the + sign on the upper-right corner. 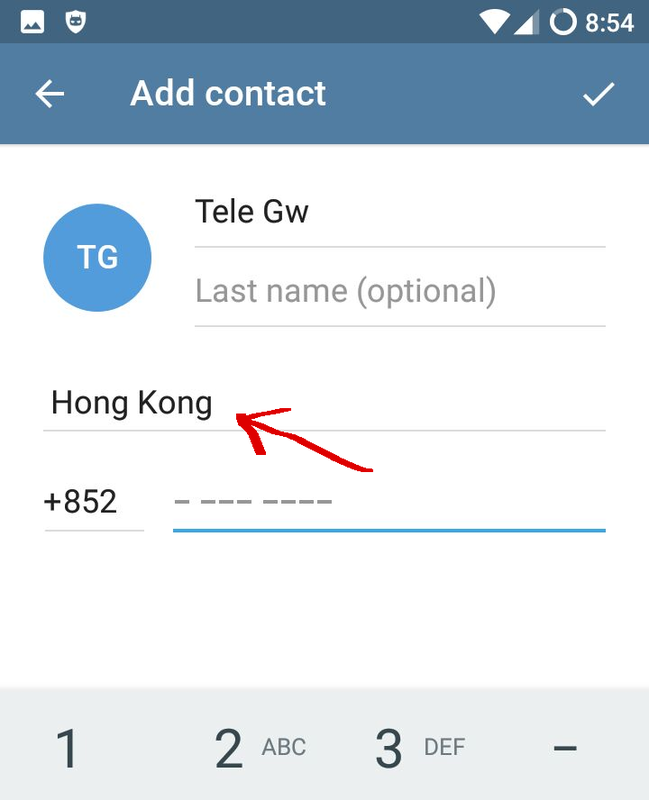 Step 4: Choose "Hong Kong" as the country and "+852" will then be automatically populated as the country code for you. Step 5: Input the gateway number after "+852" and save the contact.